I had the privilege of working with Pastor Stan Telchin in the late 1990's for a church merger in Germantown, Maryland. As we brought the two churches together (Living Word Fellowship and Grace Fellowship), my family entered the trial of my oldest son suffering a spinal stroke. Though Stan had taken the role of Pastor Emeritus, in my absence he stepped forward again and ministered to me, my family, and the merging congregations. Shortly before he and Ethel moved to Florida, we worked together again in another church merger which brought his previous congregation, mine, and Halpine Baptist Church together, forming Twinbrook Community Church. In these sensitive and unique interactions, Stan played a unifying role, offering his wisdom and support to me and to the three adjusting congregations. I am grateful for his life and especially how he set such a sterling example of not underestimating how God may use a man who is available for ministry, no matter what his age. Stan was willing to transition into a pastoral role in his late 50's when many people are considering retirement. He was an amazing man, friend, and fellow minister. Stan Telchin died in Florida on June 4th. 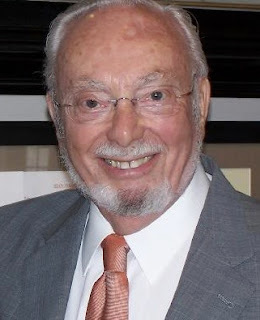 We send out deep sympathy and love to the family of Pastor Stan Telchin, a loved friend and pastor.